[Equihunter] We check on our horses every day, but the next time you are at the yard, why not also spare a thought about the condition of your horsebox as well. This is the time of year when we are all coming out of our winter hibernation and starting to think about getting out and about again regularly to the shows, competitions and to training. Whatever vehicle you drive it’s also the time of year that your horsebox deserves that much needed care and attention in terms of an annual inspection and some routine maintenance. Whether you are just planning a day out or even going for a short stay away, it’s important to note that by following a few simple basic steps you can help to save yourself from the awful experience of breaking down on the road and have the worry, stress and dangers that this event can bring. It goes without saying that an annual maintenance check is a must. You may even have an MOT or Plating test coming up, in which case you will be assured that your horsebox repair and maintenance specialist will be covering the essentials, but if this usually happens during the summer months, please don’t take it for granted that all is OK after what may have been months of relative inactivity with your vehicle over the winter. REMEMBER: ALWAYS GET PROFESSIONAL ADVICE IF YOU ARE AT ALL UNSURE WHAT TO DO. Here are some helpful tips of things you possibly can manage yourself….. Check you are road legal, note the expiry dates on your insurance, test certificate and road tax. Make sure that you have adequate and in date breakdown and recovery insurance, don’t just rely on luck, it’s just not worth it. Before you set off, make sure you have written access to important emergency numbers, like your vet, your emergency breakdown company and have your insurance details to hand. Please ensure that you have a working mobile phone on board with a full charge before you set off. If you can take your phone charger with you that can be plugged into t a working power outlet in the cab. Check the condition of your vehicle’s tyres, especially if you haven’t used your horsebox over the winter. look out for reduced air pressure and visible signs of wear such as cracks in the side walls. In the engine area perform a few simple checks like making sure your windscreen washer level is full, check your engine oil level as well and ensure your radiator coolant is at the correctly indicated level. 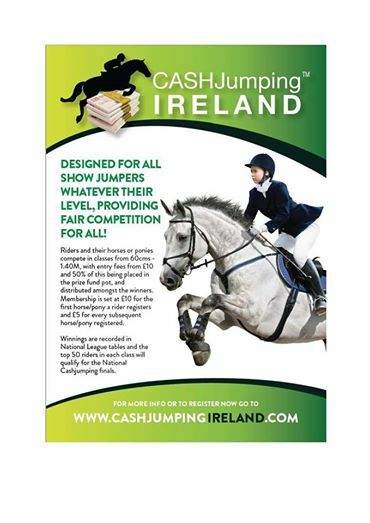 If you are unsure of how do perform any of these checks please, please seek advice from a professional mechanical engineer, preferably with a specialty in dealing with equestrian transport vehicles or seek help from competent and experienced person that knows what they are looking out for. Finally why not visit the ‘Local Rider‘ magazine website and take a look at their great check sheet they have produced that lists the 10 most common reasons horseboxes fail an MOT test. The Local Rider website has some really great advice here….. 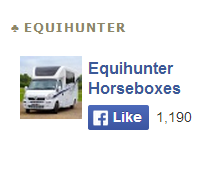 The VOSA Guide for Horsebox and Trailer Owners here…..
Equihunter has a great offer this month…. a 2009 Equitrek Endeavour Excel in fantastic condition. Registered in 2009 with ONLY 15,000 miles from new. This fantastic vehicle is priced at only £44,995 with no vat. 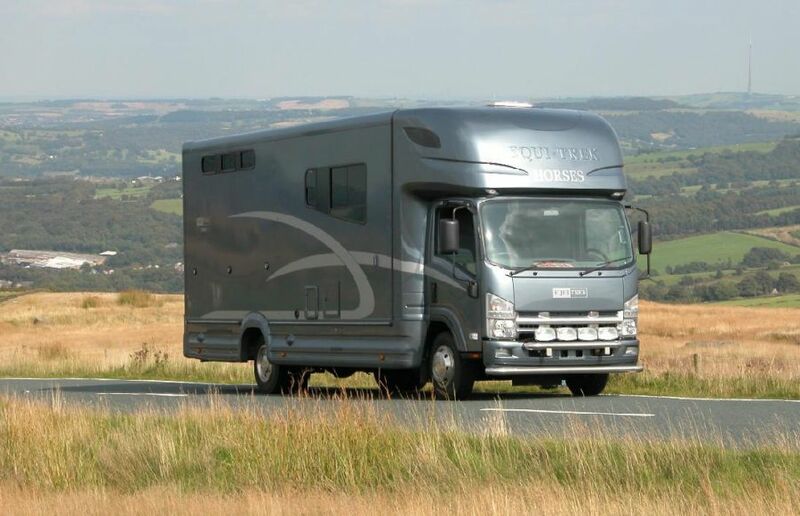 Equi-Trek Endeavour Excel – an outstanding horsebox that has an incredible carrying capacity. The Equi-Trek Endeavour Excel gives you the ability to legally carry up to 3 horses. Developed to be the most practical 7.5 Ton horsebox available, smooth, quite and easy to drive, powerful yet economical and complies with Euro 5 emission standards. The stunning aerodynamic body has a spacious over cab sleeping area which is light and airy and seating for six people which converts into a comfortable double bed. There are three large tack lockers, giving ample storage for all your equipment. The horse area is partitioned with safety loading doors and easy lift gas assisted ramp. The cab fully tilts for easy maintenance and comes with the benefit of Isuzu’s three year unlimited mileage warranty, combined with its unbeatable price, the Endeavour is the number one choice for transporting 3 horses in comfort and style. Specification: Turbo intercooler diesel engine to latest Euro 5. Floor:Strong aluminum plank floor covered with heavy duty rubberLockers:1 x Tack locker, 1x Bridle rack, 1x Grooms locker with external doorsRamp:Lightweight ramp fitted with gas struts for easy lifting, covered with anti-slip rubber and alloy tread rails.Loading Doors:Easy clean GRP ramp doors to aid safe loadingWalls:Upper walls in white easy clean GRP and lower half lined with high impact absorbing kicking boards.Partitions:Three strong, alloy, adjustable partitions incorporating head dividers.Tie rings:Three horse tie rings and three hay net tie rings fitted appropriately in horse area.Ventilation:6 opening windows and multi direction opening roof vent.Lighting access:Two interior lights and lockable door through to living area. [Hertfordshire Mercury] A bespoke coachmakers based in Ware in Herts has been recognised by The Worshipful Company of Coachmakers and Coach Harness Makers. 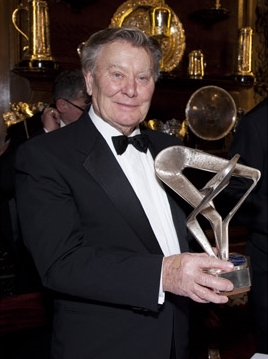 Oakley Horseboxes has been awarded the 2013 award to industry for its contributions to technological advancements in transport. Master coachmaker, The Hon Michael Callaghan, said he was impressed by Oakley’s high quality craftsmanship. Full story here at the Hertfordshire Mercury…. Equilyptus365 protects your horse, kills bacteria germs & fungal spores, destroys odours, improves air quality plus helps keep flies and insects at bay while offering revolutionary equine biosecurity. The revolutionary product is being launched onto the UK equestrian world this month at BETA International 2014, the British Equestrian Trades Association show being held at the NEC between 16th to 18th February. When sprayed on the affected area Equilyptus365 encapsulates odour compounds, changes their molecular structure and kills 99% of bacteria preventing recurrence leaving the area hygienically clean whilst eliminating the malodour created by the bacteria. This offers your horse an enhanced living environment ensuring them of improved breathing conditions whilst stabled, convalescing or travelling. Equilyptus365 has multiple uses on and around your stable yard, wagon, trailer, tack, rugs and general equipment. It eliminates odours and germs improving living conditions for your horse or pony. This innovative, patented product which has been scientifically developed specifically for the equine world will revolutionize equine bio-security improving living and breathing conditions for your horse. Equilyptus365- protection for your horse, stable yard and transport. When sprayed on the affected area Equilyptus365 encapsulates odour and dust compounds, changes their molecular structure and kills 99% of bacteria preventing recurrence. This leaves the area hygienically clean whilst eliminating the malodour created by the bacteria. This offers horses an enhanced living environment ensuring them of improved breathing conditions whilst stabled, convalescing or travelling. The revolutionary product is being launched onto the UK equestrian world this month at BETA International 2014, The British Equestrian Trades Association show is being held at the NEC between 16th to 18th February. Equilyptus365 has been tested to BS EN1276 and BS EN1656 protocol, proven to kill 99% of bacteria including E-Coli, Pseudomonas Aeruginosa, Staphylococcus Aureus, Enterococcus Hirae, M.R.S.A, A. Niger, C. albicans, Herpes and Norovirus also inhibits and stops the growth of Legionella. Equilyptus365 has multiple uses on and around your stable yard, horsebox, trailer, tack, rugs and general equipment. It has been proven to eliminate bad odours and germs and to improve living conditions for your horse or pony. It kills bacteria and germs allowing you and your horse to be free from potentially spreading contagious and infectious diseases. It is ideal for stables, trailers, horse boxes, temporary stabling at shows, tack, rugs and your general equipment. Spray directly onto the affected areas. Equilyptus365 must reach the source of the odour (bacteria) to destroy it. If you can still smell it then you’ve not reached the source and retreat the area until the smell is eliminated. To operate the 1 litre bottle turn and adjust the spray according to your needs. Opening the nozzle changes the spray from a mist to a jet for soaking or injecting. Always lock the nozzle after use. Larger sprays packs are available for the treatment of stable blocks and large transport carriers. Spray on the top most surface/wall and work your way to the floors. Caution If contact is made with eyes flush with water immediately. We believe the feedback from our delighted clients says more than we can about how effective Equilyptus365 is. Here is what some of them have had to say. Read some more testimonials here….